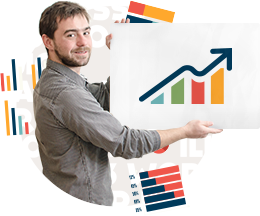 We are an experienced team of web specialists, which has been attracting clients since 2007. Our office is located in a beautiful town of Cesky Krumlov, but you may also easily reach us in Ceske Budejovice and Prague, where our main clients reside. Tomas is a visionary, who leads our projects from the beginning to their successful end. 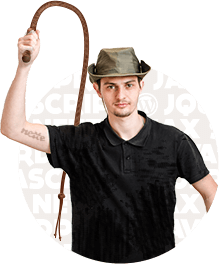 Starting his career as a web designer and later graduating from web engineering at CVUT, he`s our jack of all trades, who also teaches courses of online marketing in his spare time. He loves preparing frappé for the team - which only takes him 45 secs! And when he doesn't take care of his clients, you will find him outdoors riding his mountain bike or skiing down the slopes. Martin is a web technology enthusiast and the master of PHP codes. 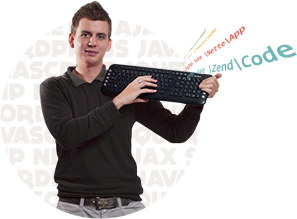 He develops applications in Nette, Symphony and Zende, as well as in many other coding languages and frameworks. Even though you might not be able to tell, in his free time, this handsome fella likes to do programming - yet again. Drawing with one hand, coding with the other - he will ensure that your web sites are attractive and user-friendly. 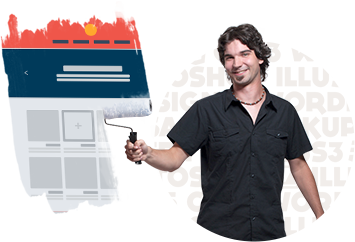 His work ranges from logo design and wireframes to coding responsive designs in both HTML5 and CSS3. He is also a frontman of a local rock band. Miroslav`s main focus is to bring customers to our client`s websites, be it be it through their optimization for search engines (SEO) or pay per click advertising (PPC). Besides digital marketing, he organizes summer, outdoor cinema in Cerna v Posumavi. But when the temperature drops, he exchanges his keyboard for a snowboard and surfs on the snow. Marek is our latest addition to the team. This badminton player does not know what fear is - he has been assigned to the most challenging tasks that he always finished before the deadline. His passion for coding is well compensated by having a good drink or listening to hard music. Don`t hesitate - the initial consultation is for free. Do you have a goal but no idea how to reach it? Ask an expert on web design and online marketing. Call or send me a text at 00420-728-726-031 and within 30 min we will come up with possible solutions to meet your current needs and reach your desired goals. Owner at Net Magnet s.r.o. I`m available for a personal meeting in Cesky Krumlov, Ceske Budejovice and Prague. Read more about the team.